Relining and Rebasing are the procedures used to resurface or replace the entire the tissue side of a denture with new base material, thus producing an accurate adaptation to the denture foundation area. This is done is cases where there is resorption of the Alveolar ridge either in the maxilla or mandible. In case of Relining the tissue surface of the denture is just repaired or altered to adapt to the new Alveolar Ridge shape by adding base material. In case of Rebasing as the name suggests, the whole base of the denture is replaced by keeping the Original teeth and their arrangement intact. “A procedure to resurface the tissue surface of the denture with new base material to make the denture fit more accurately” – GPT. “It refers to the process of adding base material to the tissue surface of the denture in a quantity sufficient to fill the space, which exists between the original denture contour and the altered tissue contour.” – according to Sharry. “A process of refitting a denture by the replacement of the denture base material”– GPT. “It consists of replacing all of the denture base with new material.” -according to Sharry. Immediate dentures after 3-6 months where maximum RRR(residual ridge resorption) would have occurred. Poor denture adaptation to the ridge due to RRR. Economical reasons where the patient cannot afford a new denture. Geriatric or chronically ill patients who cannot withstand the physical and mental stress of construction of new dentures. Abused soft tissues due to an ill-fitting denture – relining should be delayed until tissues recover and are back to normal. 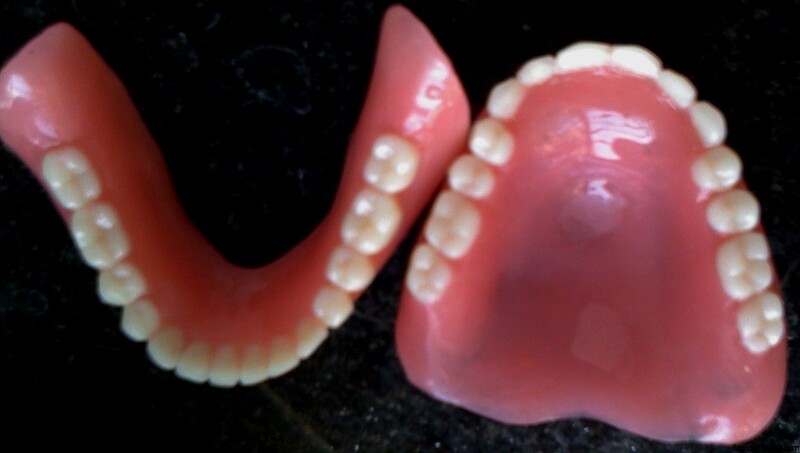 Patient dissatisfied with the appearance of the existing dentures. Unsatisfactory jaw relationships of the denture. Dentures causing major speech problems. Relining and Rebasing can be termed as repairing of the dentures and are temporary, the patient should be well informed about the procedure and for how long the dentures might last. The retention and stability attained by these procedures can be lost due to changes in Alveolar ridge.